Reports suggest that Arsenal’s Mesut Ozil has returned to pre-season training early after his teammates were impressed by Unai Emery’s coaching (via Goal.com). It’s going to be a fascinating first season for Arsenal in the post-Arsene Wenger era and for Mesut Ozil in particular. The German’s performances in the latter half of last season and at the World Cup did little to impress and there are serious question marks about how he will fit into this team. Well, it seems as if Ozil is eager to get going as reports suggest that he has returned to pre-season training early. Goal’s Chris Wheatley claims that the Arsenal players have been impressed with Unai Emery’s training methods and that Ozil has been convinced into an early return. The German will travel with the rest of the Arsenal squad to their pre-season tour in Singapore. 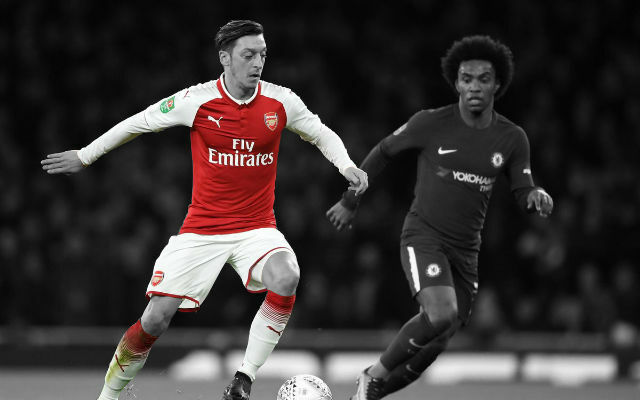 Mesut Ozil has drawn heavy criticism from both Arsenal fans and neutrals for his less-than-enthusiastic performances at times since his 2013 move from Real Madrid. Hopefully, his performance levels will increase next season and we can start to see what Ozil is capable of on a more regular basis.